A Preston prison has won the coveted Royal Horticultural Society (RHS) Windlesham Trophy Award for the best prison garden in England and Wales. HMP Wymott, a Category C facility located in the village of Ulnes Walton near Leyland, has a population of 1,126 prisoners, 50 of whom work on the institution’s extensive gardens. HMP Wymott regained the trophy after an eight-year gap; it previously lifted the gardening prize in 2008. Royal Horticultural Society President Sir Nicholas Bacon presented the trophy, a specially engraved Green Goddess fire engine bell, to HMP Wymott prisoners and staff during a special ceremony at the prison on 14 September. Lead RHS Judge Robert Haslam, who with fellow RHS judges Fiona Crumley and John Wheatley assessed the five finalists – the others were HMP Albany, HMP Parkhurst, HMP Eastwood Park and HMP Thorn Cross praised HMP Wymott for presenting a scrupulously tidy series of gardens. He added: “The first impressions were excellent and the standard was maintained throughout the visit. A wide range of plants were used displaying evidence of thoroughly planned designs to create a range of feature gardens, each creating a real impact. HMP Wymott’s Acting Governor Nicki Smith said: “At Wymott, we are delighted to have been named winners of the 2016 Windlesham Trophy competition. 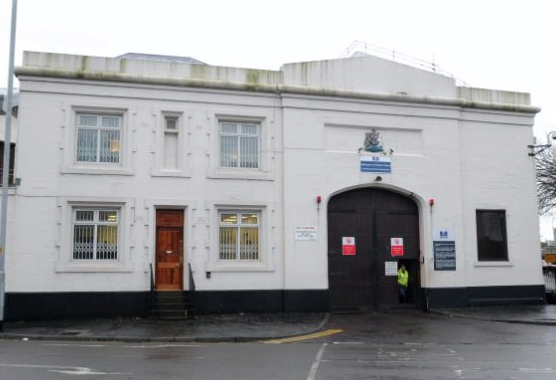 “The award reflects a lot of hard work by our staff and prisoners. We are committed to having a well-presented site, which creates a positive backdrop for all the work we do, and horticulture is a key part of this. HMP Albany came second in the competition with HMP Parkhurst, HMP Eastwood Park and HMP Thorn Cross completing the line-up.